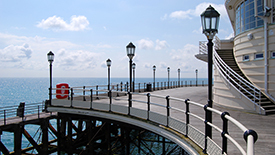 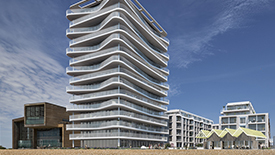 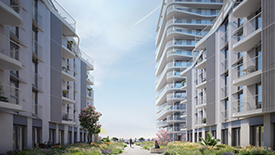 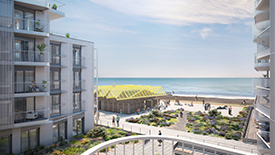 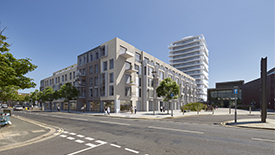 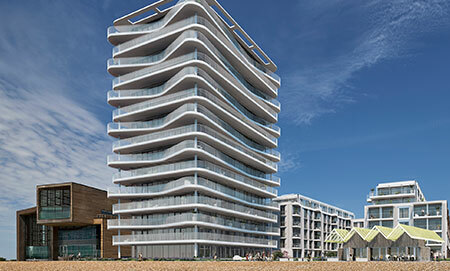 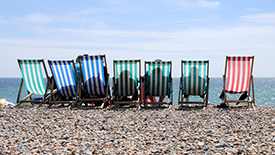 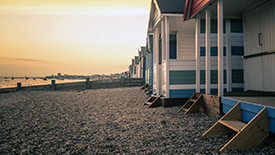 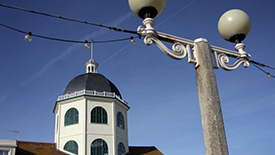 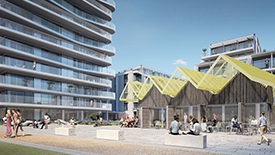 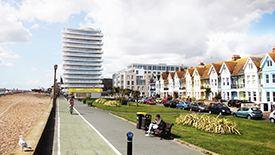 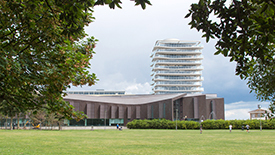 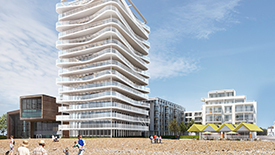 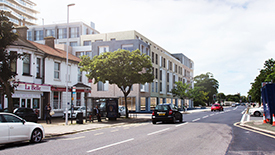 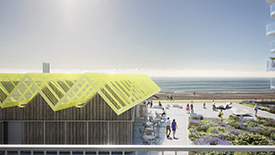 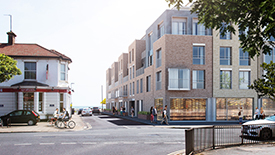 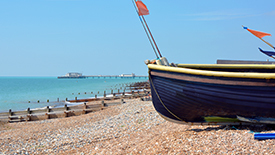 An iconic new development of 141 high quality 1, 2 and 3-bedroom homes positioned in a prime location on Worthing’s seafront, on the site of the former ‘Aquarena' swimming pool. 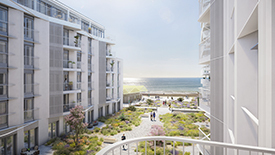 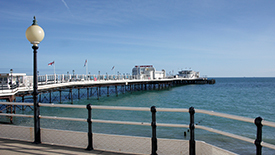 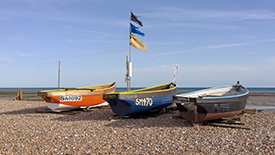 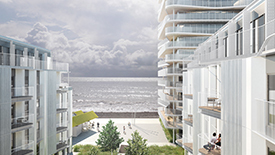 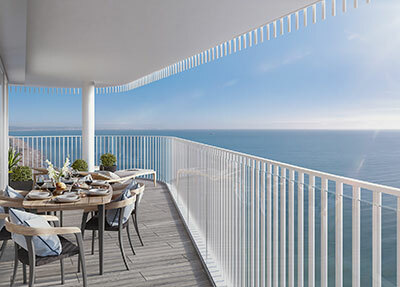 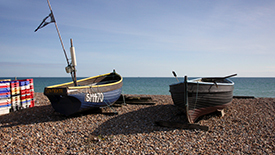 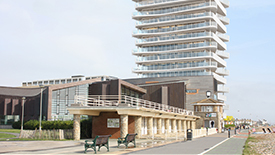 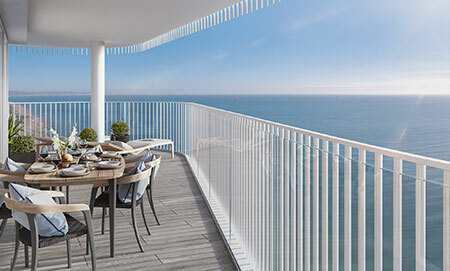 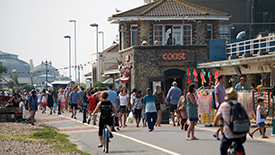 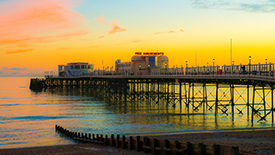 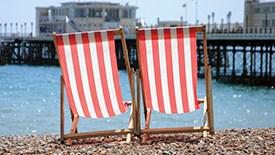 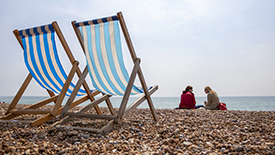 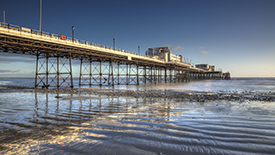 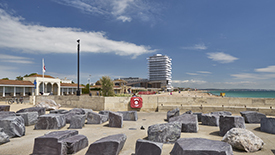 Bayside offers a unique opportunity of luxury living in elegant surroundings with direct access to the beach and Worthing’s historic promenade, with many homes enjoying uninterrupted sea views and either spacious balconies or outside space to enjoy an ‘al fresco’ lifestyle. 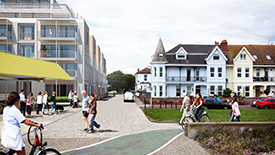 Each apartment will also benefit from private parking. 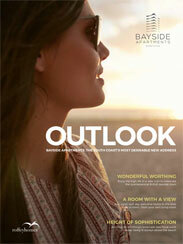 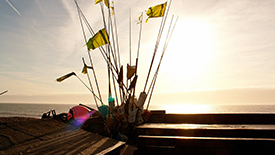 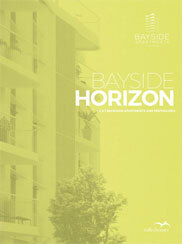 Bayside is the latest collection of outstanding homes from award winning developers Roffey Homes. 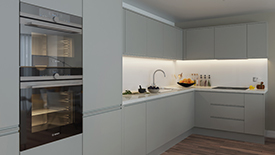 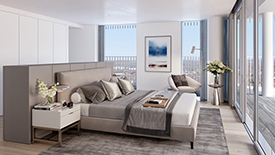 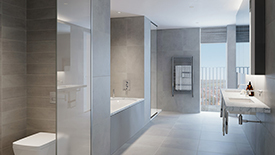 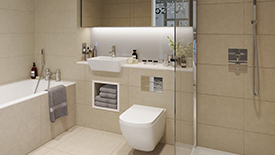 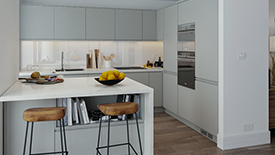 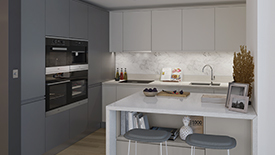 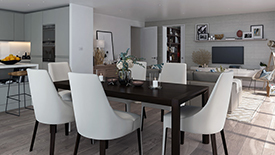 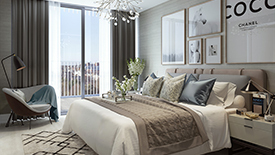 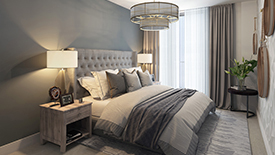 Each apartment will benefit from exquisite interiors, built to a superior specification, offering modern and stylish living just a short walk from the vibrant town centre. 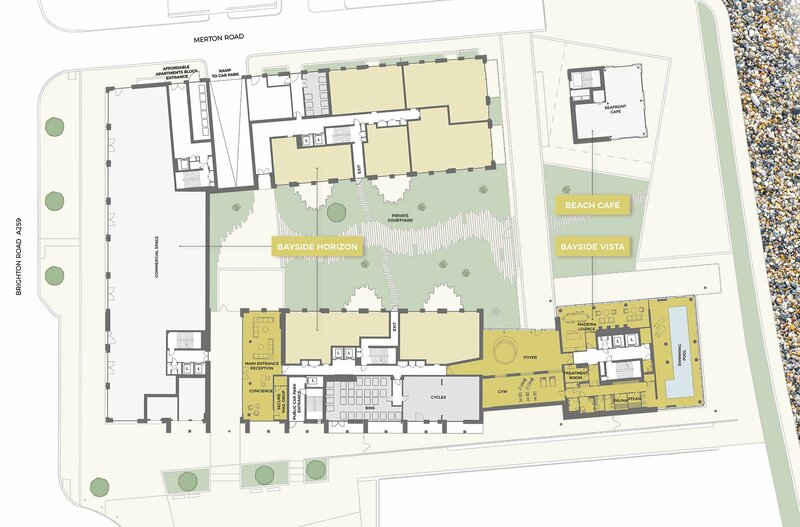 The dynamic building will offer access to a private health club featuring a gym, pool, sauna and steam room as well as a resident's lounge and landscaped courtyard to relax in. 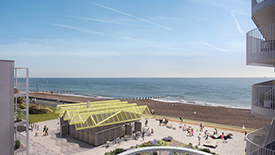 The development will also feature a new seafront square with a café situated on the promenade and 620m2 of high quality commercial space. 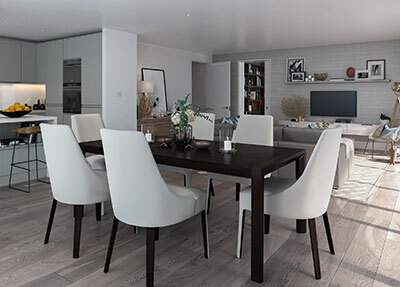 All apartments will have access to dedicated underground parking with lift access and a concierge service providing security and peace of mind. 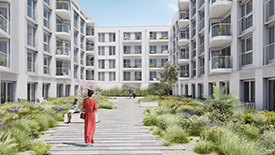 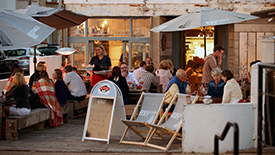 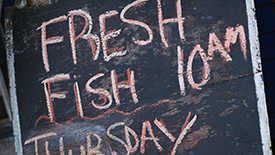 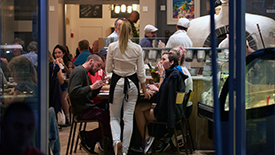 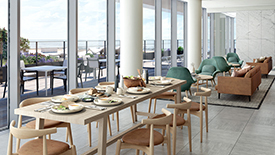 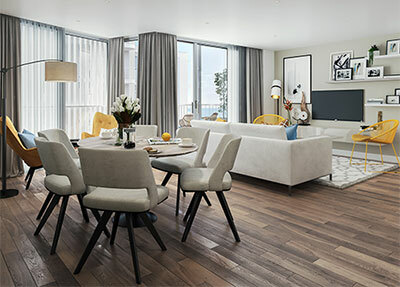 Each apartment has open plan living areas and private outside space letting you enjoy ‘al fresco’ dining from the waterside café and nearby restaurants. 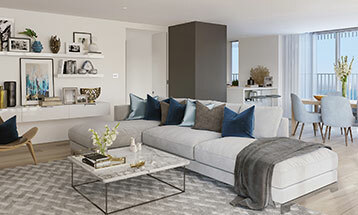 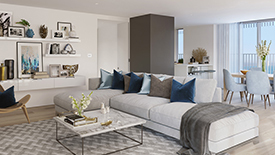 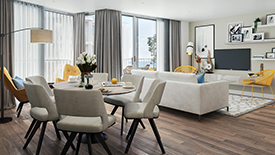 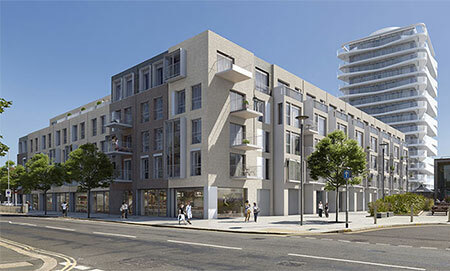 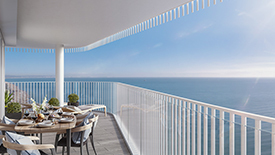 Bayside will be available to a broad range of buyers with anticipated pricing starting at £200k for entry level apartments, spacious homes with sea views from £400k and a number of exclusive apartments and penthouses priced in excess of £1m. 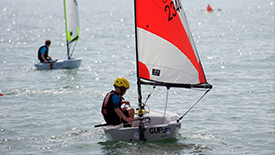 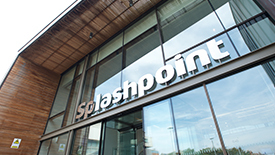 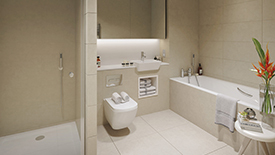 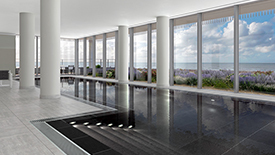 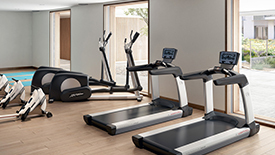 All homes will benefit from access to the private health club and on-site facilities. 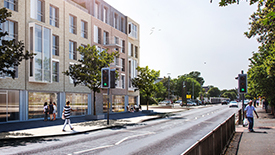 Our latest video shows the incredible progress which has been made on site. 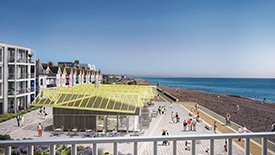 Under the bright blue Worthing sky, the Bayside Vista structure is beginning to take shape. 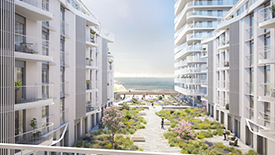 The latest video from the Bayside site shows the impressive cranes Peter and Pan hard at work. 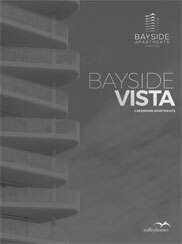 By the end of January, the first floor of the tower will be complete and Bayside Vista shall start steadily rising into Worthing skyline. 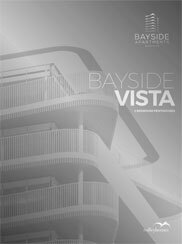 2018 has been a busy year at the Bayside site since construction work commenced at the end of last year. 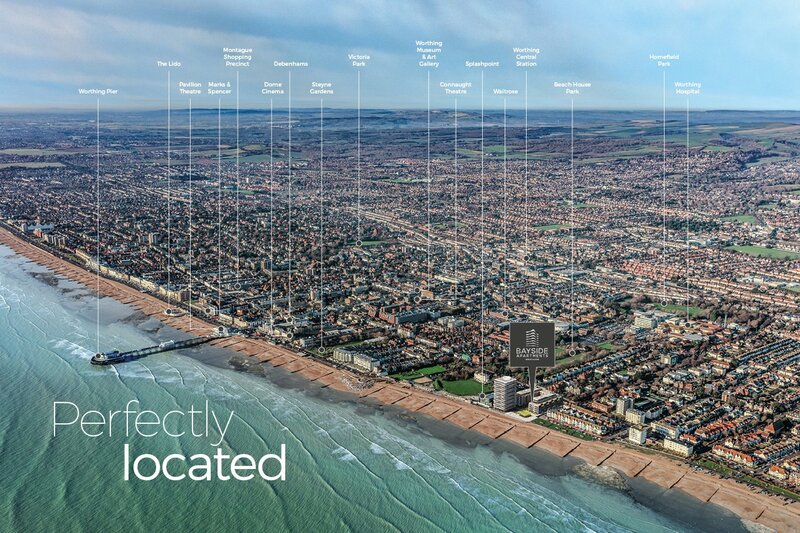 This latest footage summarises the remarkable progress. 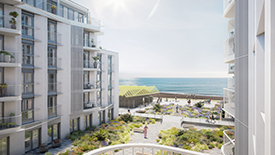 Construction teams have been blessed with some beautiful and prolonged weather this year and are making great progress on site. 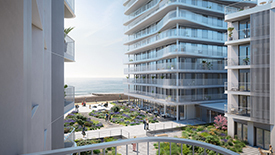 Spectacular aerial footage showing the first build stage of Bayside Apartments, just a stones throw from the Worthing seafront. 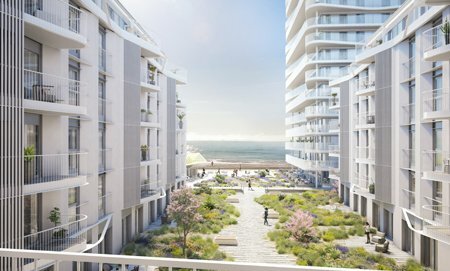 Latest aerial footage from Bayside showing demolition work coming to an exciting finale and stunning first impressions of what to expect once the development is complete. 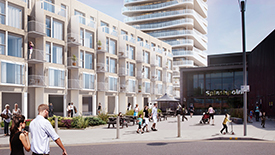 With the demolition now complete, our latest aerial footage demonstrates the sheer scale of this development's impressive footprint. 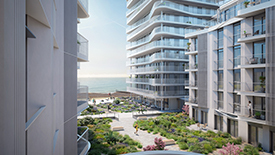 With the foundations now well under way, new aerial footage shows just how close the iconic development is to Worthing’s seafront and gently sloping beach.